This will be my introductory post. I'm new to this blog, and a newly sponsored driver from Circuit Motorsports. I'd like to spend the next few moments telling your about myself and my big plans. 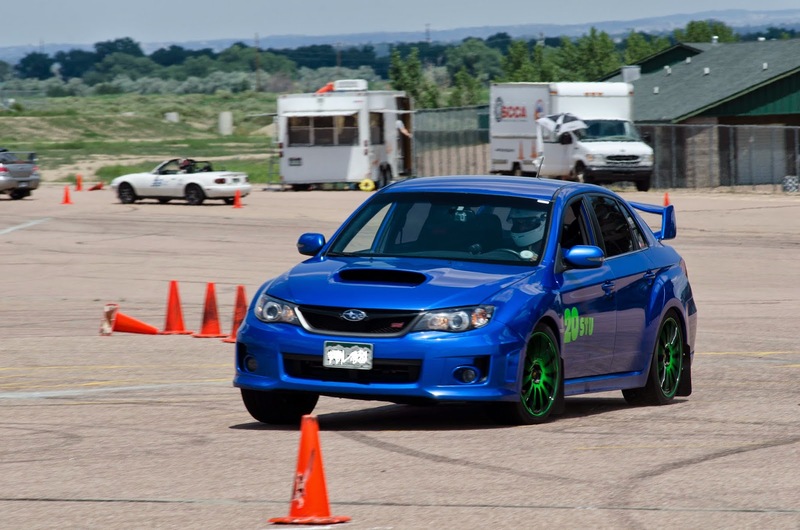 I'm not coming up on the end of my second season of SCCA Solo autocross in the Rocky Mountain Region (Colorado). 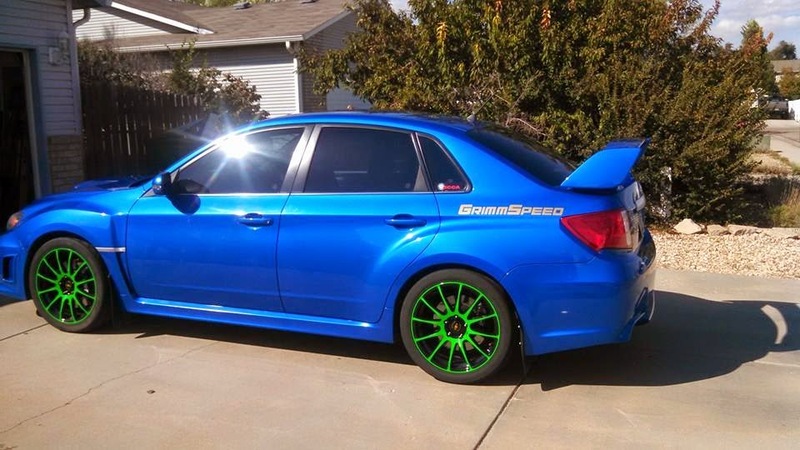 I've been racing my 2011 WRX STi sedan in the Street Touring class and came to the realization that both the car and I have a lot of growing to do if we ever want to take home gold. At the recommendation of another STi driver in the same class I approached CMS about a sponsorship and they were gracious enough to help me out. My car is nearly stock at the moment, all she's got is an AEM cold-air intake, a Corbeau front strut tower bar, StopTech slotted brake rotors and pads with steel brake lines, and Corbeau Racing harnesses. I've got big plans for the car though, and will first be pursuing some camber bolts and other suspension and handling upgrades. 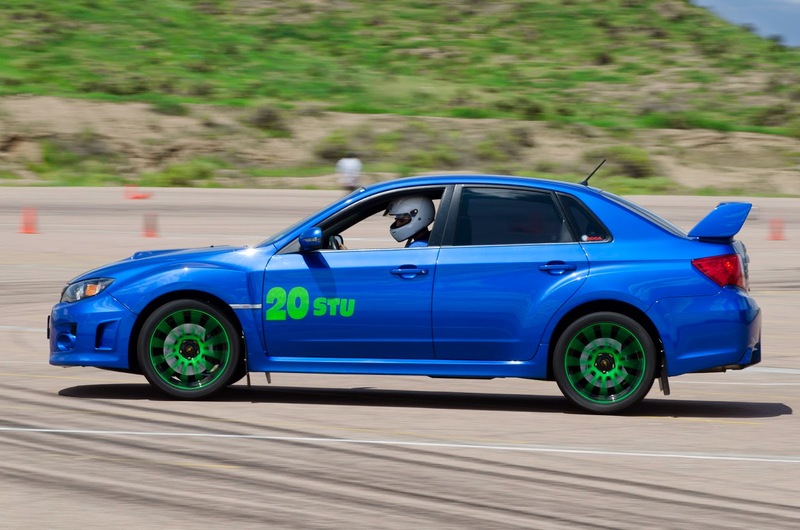 The car likes to understeer, and I like to push into turns too fast, it's a great combination that the tires always love to cheer and scream about. The type of racing I do is much more about driver skill and car handling ability than it is about sheer power. 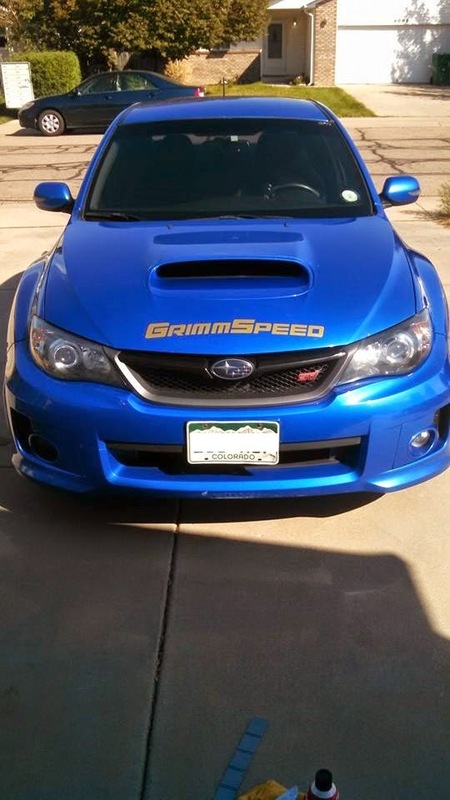 The STi is powerful enough in it's current form anyways. I'll be looking into camber adjustments and bushings, sway bars, and coilovers. I've been told countless times by fellow racers that RaceComp coilovers are the way to go. As for everything else, I'm looking at Whiteline. If need be I might explore getting some much wider wheels, though I already have a set that are for track use only but are the stock width of 9 inches. Once the car is properly set up and a little more responsive on track I'll start looking at exhaust, downpipe, and up-pipe mods. The general rules for Street Touring are that anything leading up to or away from the turbo can be changed but nothing in between. That means intakes, headers, exhausts, intercoolers, and other applicable piping are legal but you cannot swap out the turbo itself or go into the engine and change cams, pulleys, or pistons for example. Stock boost is also required, which means any upgrades will need to increase power at that boost level. As always, it's important to have a plan with your parts upgrades, and the car will need a proper tune to fully respond to them. As a long-term goal I'd like to attend some various driving schools and get the car fully built to the level that Street Touring class allows. For now I am but a merely weekend racer, but scheduling at work allowing, I'll be getting more involved in some NASA events, BMW club, and open track days out at High Plains Raceway. Next year I might be able to go Nationals and Match Tour. One day in the future, I'd love to be able to take this car through the trials of the Pikes Peak Hill Climb. -I tried to go for a color scheme of green over blue. The colors are much brighter in person than they appear in pictures. It would appear however that these colors may not get to stay after sponsorship decals go on or if I get wider wheels. Well that's all I've got for you guys right now. I'm very excited to be involved as a CMS sponsored driver and happy to be blogging with everyone here. My goal is always to spread the enthusiasm for the sport and get more people in to racing. I'll leave you for now with a couple photos of my car as it currently looks after setting up a contingency with GrimmSpeed. Updates will come in the future once I get my new CMS decals on it.